Arthur Movie Trailer. 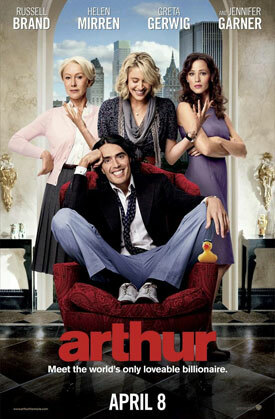 Russell Brand, Helen Mirren, Greta Gerwig and Jennifer Garner star in the comedy remake. See the movie trailers, photos and movie posters for ‘Arthur’. An heir (Russell Brand) to a vast fortune must choose between an arranged marriage to an affluent socialite (Jennifer Garner), that will ensure his lavish lifestyle, or an uncertain future with the woman he loves (Greta Gerwig). MPAA Rating: (PG-13) for alcohol use throughout, sexual content, language and some drug references.